My H2B and I got engaged a couple of weeks ago - we are not planning on getting married until 2013 but I want to get the venue booked and a deposit put down this within the next 6 months! So, I was wondering if anyone had an recommendations for lovely places in the Herts / Beds area? I live in Hitchin and my H2B lives in Luton - but willing to travel a bit to the perfect place. Bletchley ...different... but it stays open to public who can be walking down corridors. The bar area was dirty with 2 oldish cream leather sofas and lots of panelling which makes it dark. I think it needs a refurb ! Horwood - Lovely room to marry in and lovely grounds. The staff were fab too. The reception rooms are in the conference part of building and lack the character of the other part of building but OK and certainly spacious. Lots of facilities and rooms cheap. Woburn - Wow ! Grand but friendly. Just amazing to see and the grounds are fab. Once seen never forgotten. Food great I am told. Staff are wonderful but it is pricey. Check out any days when it's cheaper..like when other things are being run in grounds which you won't see. There are also reception rooms in the main part of the Hotel at Horwood House rather than the conferencing area. Think it depends on how many you are having. They have also just refurbished some of the reception rooms. We're getting married at Whipsnade Zoo and staying at Old Palace Lodge. What type of venue are you looking for, what's your budget, as that will help with looking into venues? Just depends on what you want and what you can afford?? I'm at Sopwell House I was not fussed about other brides its unlikely I'll run into one as we're down one end in other rooms. St Michaels also looks lovely - and it looks reasonable too until they tell you that you HAVE to book ALL the rooms and pay a lot for exclusive use of the venue, after which point it became really pricey! We went to the Three Lakes that was absolutely gorgeous but we wanted somewhere with a hotel on site so we could not have to go anywhere at the end of the day. South Farm was stunning but prices don't include VAT on their website and they have lots of hidden extras - like charging to put their dancefloor up. We also went to see Letchworth House Hotel that was very nice but we just preferred Sopwell in terms of the decor and Ponsbourne Park was quite pretty but we found it overpriced compared to Sopwell. Thanks for the reception suggestions girls! I'll do some research into them and get some viewings booked! My future sister in law got married at Sopwell House in December and we were really impressed with it. Although, we didnt get to see any grounds there it was very very cold!!!! We didnt see any other brides there either! In terms of venue, I would like something a bit historic looking, with some nice outdoor space, as we want a summer wedding. Wrest Park probably sums up the sort of thing I would like! As for the budget, I'd probably say a max of £10k for the venue - including food and evening buffet. I would prefer to spend less (obviously) but if we saw something we loved, it would be worth it! 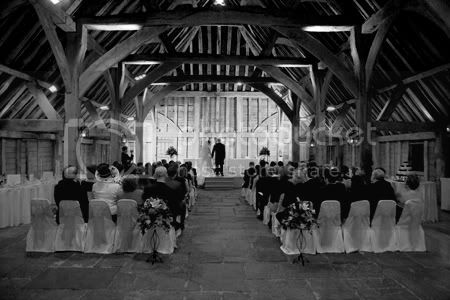 We got married at the Priory barn in Wymondley- beautiful old barn- maybe not quite what you're thinking of but the grounds are beautiful too. Should be within your budget depending on numbers. we've just booked The Grove in Watford, its a very modern and edgey venue inside but really traditional on the outside with huge grounds and amazing bedrooms! 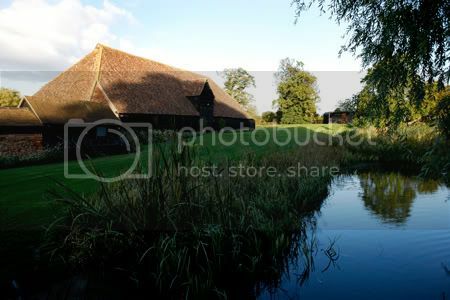 we also looked at Moor Park in Rickmansworth, gorgeous old manor house and really suprisingly affordable! i think it can look quite intimidating and expensive but the quote we got was amazing! both venues do civil ceremonies too, not sure if your looking for civil or church wedding! Yeah you have loads of choice around this area.. having said that.. me and H2B don't like any of the Hertfordshire venues, it's a bit of a nightmare.. but there are so many venues around.. am sure you'll have loads of choice. We are going to few Wrest Park!! Does look nice. Again, thanks for the suggestions! Didnt know there were so many nice places around Herts! Cant wait to start looking!